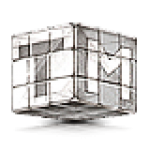 FORUM.DCHUBLIST.ORG • View topic - XTRM HUB by Azazel - WINDOWS - NMDC [ OUTDATED ]. XTRM HUB by Azazel - WINDOWS - NMDC [ OUTDATED ]. As per version 5.0.0.0 soft is 100% supported. Looks like its lacking latest hubsoft release avail. for download. I'm unaware how did older versions do.